It’s pretty clear what will end up happening as a result of this tweaking to YouTube’s recommended videos AI. The “conspiracies” of your average person will be pushed aside and demoted, while government and mass media lies will remain unaffected. Google will assume mass media and government are honest, so government and billionaire approved propaganda will be increasingly promoted, while the perspectives of regular citizens will be pushed further to the margins. YouTube is simply not a platform anymore, but rather a self-proclaimed arbiter of what is ridiculous conspiracy and what is truth. The most dangerous and consequential liars on planet earth are those in government, yet I guarantee YouTube will gladly recommend such liars and their lies. 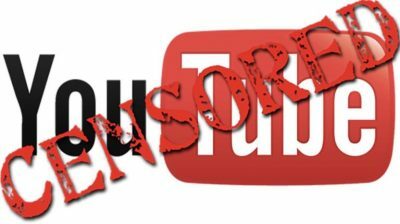 While YouTube says videos it deems conspiracy will still be available via search, it’s not a stretch to imagine this is just the first step and before you know it certain categories will be banned from the site entirely. Either way, I think there’s a silver lining to all of this. As I outlined in a recent post, U.S. tech giants, particularly Facebook, Google and Amazon, aren’t simply private companies. They appear more akin to quasi-government entities that increasingly view themselves as instrumental gatekeepers for a discredited status quo. Moreover, their primary business models consist of mass surveillance and violating our privacy. Ultimately, I think the increasingly nefarious and desperate behavior of these tech giants will lead to their demise. More and more of us have looked under the hood and seen the seedy and privacy-destroying nature of these entities. We’ve also seen what it’s like to have genuine free expression on the internet and we don’t want to turn the web into another cable news where Facebook, Google and Amazon become the new CBS, NBC and ABC. If we do, then the entire promise of the internet will have turned out to be a giant waste. But I don’t think that’s going to happen. I think most of us have had a taste of what’s possible, and agree that free speech and expression on the internet, the good, the bad and the ugly, is better than an internet censored by tech companies and their billionaire executives, who will always be biased toward the status quo point of view. It’s still not clear which platforms will emerge to replace the tech giants, but it seems fairly clear to me the best days are over for these companies, and it cannot come a moment too soon.